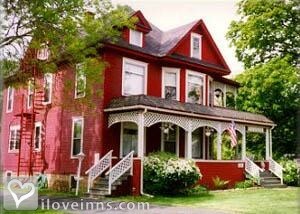 Mundelein bed and breakfast travel guide for romantic, historic and adventure b&b's. Browse through the iLoveInns.com database of Mundelein, Illinois bed and breakfasts and country inns to find detailed listings that include room rates, special deals and area activities. You can click on the 'check rates and availability' button to contact the innkeeper. Mundelein, Illinois is surrounded by beautiful lakes and other scenic natural wonders, it has become one of the state's top vacation destinations and among the top attractions in town are Long Grove Historical Village, Six Flags Great America, and the Great Lakes Naval Base. Quig's Apple Orchard and Restaurant is an interesting lunch option. For those who would like to listen to musical performances, the venue would be Ravinia Park, which is only a few minutes drive from Mundelein. Other attractions include Gurnee Mills Mall, Volo Antique Auto Museum, Cuneo Museum and Gardens, Lamb's Farm, and The Power Hourse. Mundelein bed and breakfast inns are always ready to help you plan any excursions. By Round-Robin Inn.